Old Hazelton. Photo by Mark Worthing. 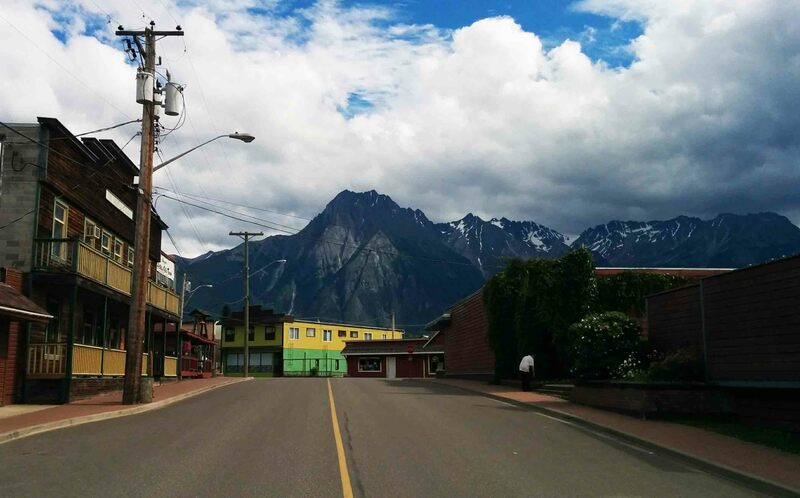 This July, I traveled north to visit communities within the mighty Skeena watershed. 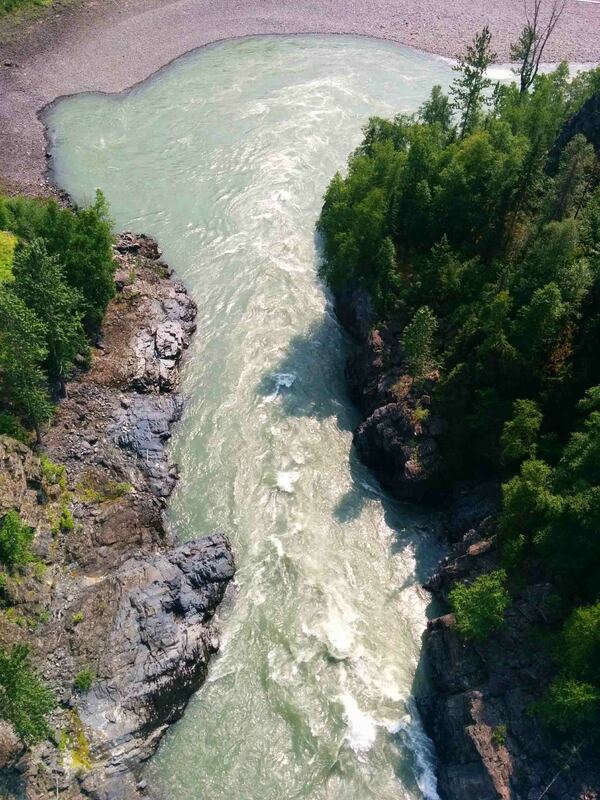 This was a chance to learn about the petroleum industry’s attempted incursions into Wet’suwet’en, Gitxsan and Tsimshian territories, and the communities that are defending their homes, lands and waters. The resiliency, power and commitment of this Indigenous-led land defence work leaves me speechless. And amongst the settler communities who have made homes in the vast drainages of the Skeena and its tributaries, there is an intensely rich understanding of their own relationships with the land. The stories, solidarity and community-based visioning happening in these places is some of the strongest and most colourful this side of the Rockies. Yet attempts by international corporations to push extractive industries remain at an all-time high. With recent shifts in government and successes under our belt—like cancellation of the Enbridge pipeline and tankers project, and Petronas’ fracked gas plant—people in the northwest are reviewing their tactics while remaining steadfast in long term land-based sovereignty work. Hagwilget Canyon. Photo by Mark Worthing. From my perspective, the general feeling is this: people are tentatively hopeful. But the work never seems to end, and we must not let our guard down simply because there is a different flavor of political power at the helm. The proof will be in the pudding. The collective work of cultivating healthy cultures of resistance to industrial extractivism is a lifestyle and not simply a campaign. And there are many more existing and proposed pipelines that cross those territories without consent. With multinational fracking and LNG corporations attempting to force projects down the throats of communities and seeking anyone who is willing to sign deals, we will need to stay true to our work in uplifting and affirming the traditional Indigenous governance structures that are inextricably linked to the land. I admit I had never quite grasped the implications of the Delgamuukw and Tsilhqot’in court cases until I spent time in the Yintah (Territory) of the Unist’ot’en and Luutkudziiwus, different house groups with specific lands within the Wet’suwet’en and Gitxsan Nations respectively. They are each occupying their territories full time according to their own laws. The court cases laid the groundwork for obtaining Title to lands in the eyes of Canadian law, which would return governance and authority to First Nations. This would make stopping unwanted pipelines a whole lot easier. I also spent time with community members in Dodge Cove on Digby Island, a short boat ride from Prince Rupert. Within an hour of arriving, I heard about Petronas cancelling its controversial fracked gas plant on Lelu Island. The whole town was buzzing with excitement. That night we raised a glass of champagne to its defeat and to the success of the land defence work of the Lax Kw’alaams and those who helped defend the salmon habitat of Flora Bank. Unist’ot’en mural. Photo by Mark Worthing. But for the community of Dodge Cove, the fight isn’t over. They have another battle on their hands: the massive fracked gas plant being proposed by Nexen, owned by Chinese oil giant CNOOC. The company’s complete disregard for this community was horrific to hear about. The plant would be built less than a kilometre from this historic town, violating international siting standards and putting human safety at risk. They continue to buzz helicopters above people’s homes and conduct test-drilling without consultation or consideration. Don’t believe what you hear from this company. If you see what they are proposing on the ground, your stomach will turn. Members of the community were grateful for the help Sierra Club BC’s supporters provided by sending letters to the BC Environmental Assessment Office. The EAO received so many submissions—the vast majority of which were opposed to the project—that the review was paused for nearly three months. But now it’s up and running again, and you can be sure the company is moving full steam ahead. LNG is not dead in BC, not by a long shot. Stay up to date on the fight for a sustainable energy future in BC by signing up for our monthly newsletter and action alerts. Feature image: Suskwa River by Mark Worthing. Few of us have the opportunity to visit tropical forests in person, which can make us feel disconnected from the problems of deforestation and degradation of tropical countries. I am extremely lucky to have had the opportunity to work in tropical rainforests over the past seven years, as part of my graduate work in wildlife ecology. Most of this has been in Sabah, Malaysian Borneo where I investigated how selective logging disrupts interactions between trees and mammals. Central Walbran Valley. Photo: TJ Watt. The loss of intact tropical forests continues to be a serious threat. The Food and Agriculture Organization of the United Nations (FAO) recently estimated that globally, ten per cent of the remaining primary forests in tropical rainforest countries were lost between 1990 and 2015. These forests are home to many species which exist nowhere else on the planet and protecting their habitats is critical to their survival. Further, the livelihood of millions of people depends on intact forests and they play an important role in mitigating the effects of climate change by storing massive amounts of carbon. 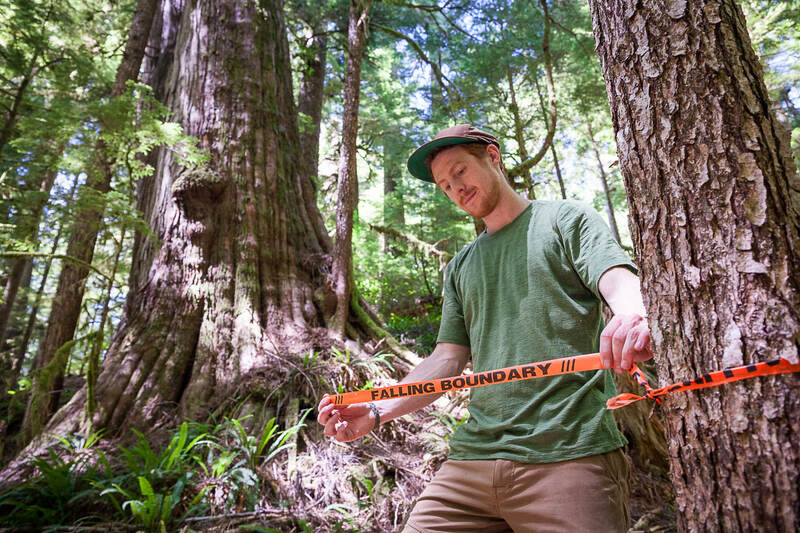 While all of this may be well known to many, few of us in Canada realize just how fast old-growth rainforest is being logged on Vancouver Island. I was very shocked to learn from recent Sierra Club BC data that over that same period (1990 to 2015), thirty per cent of the remaining old-growth forest on Vancouver Island was logged. In other words, the rate of loss of so-called “primary forests” (forests that were largely undisturbed by human activity) on Vancouver Island is actually three times greater than in the tropics. 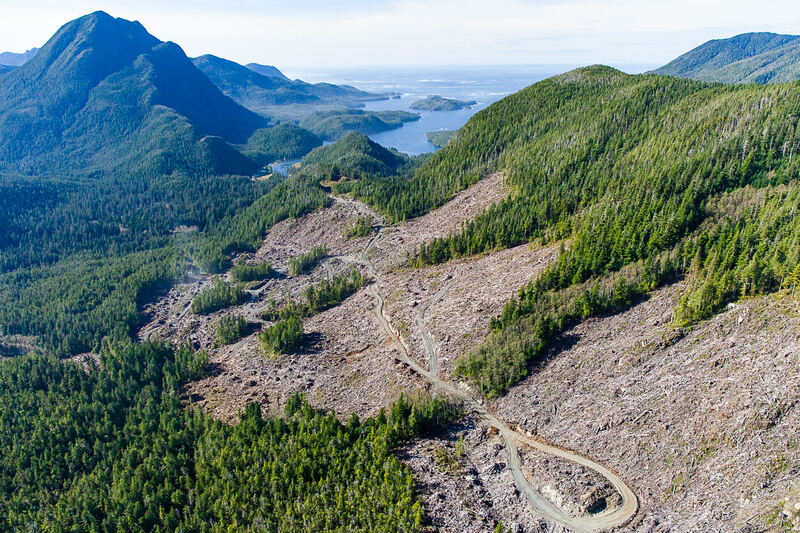 In the last few years the rate of old-growth logging on the Island has actually increased by twelve per cent to 9,000 hectares per year (25 hectares a day). So what’s behind this forest loss? 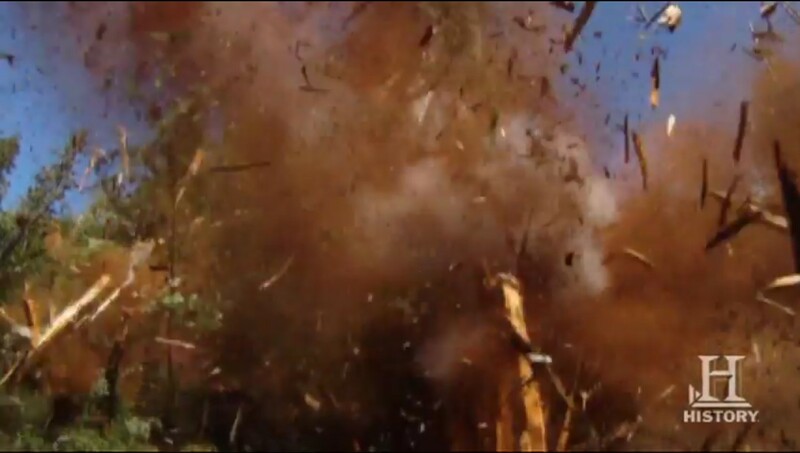 Similar to the tropics, logging plays a central role. One difference is that in many tropical countries logging often results in deforestation, while in other countries such as Canada logging generally leads to the replacement of rich ancient forests with even-aged young forest. 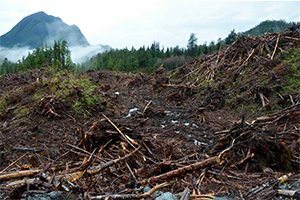 Much of the old-growth forest on Vancouver Island has already been lost to clearcut logging and the remaining patches of old-growth (called variable retention by foresters) are too small to maintain enough habitat for species that depend on old-growth forest. Logging in East Creek on Vancouver Island. Photo: Mark Worthing. 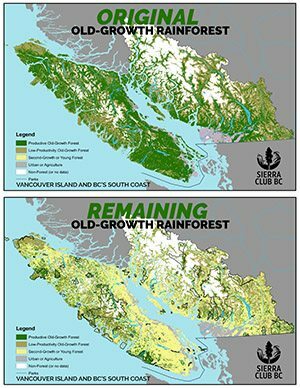 In response to the Sierra Club BC data, the BC government stated that it is misleading to compare the problem in tropical countries to Vancouver Island, because in British Columbia logging companies are required by law to reforest logged areas. While this is true, old-growth ecosystems with trees that are many hundreds of years of age are not growing back at a meaningful timescale and climate change means we will never see the same type of forest grow back in the first place. Species that rely on old-growth forest such as the marbled murrelet are negatively affected by the loss of old forest stands. In addition, the resulting large areas of young trees are not offering the type of habitat that most of the typical plants and animals on Vancouver Island depend on. Similar to tropical forests, coastal temperate forests play an important role storing carbon dioxide. In fact a single hectare of temperate rainforest can store up to 1000 tonnes of carbon, a much greater amount than most tropical rainforests. Even if replanting is carried out, along the coast it can take centuries for reforested areas to reach a similar capacity in carbon storage potential as that of intact old-growth forest stands. Tropical forest loss rightfully deserves the attention it gets, and we are lucky here in BC to have equally amazing rainforest habitat. 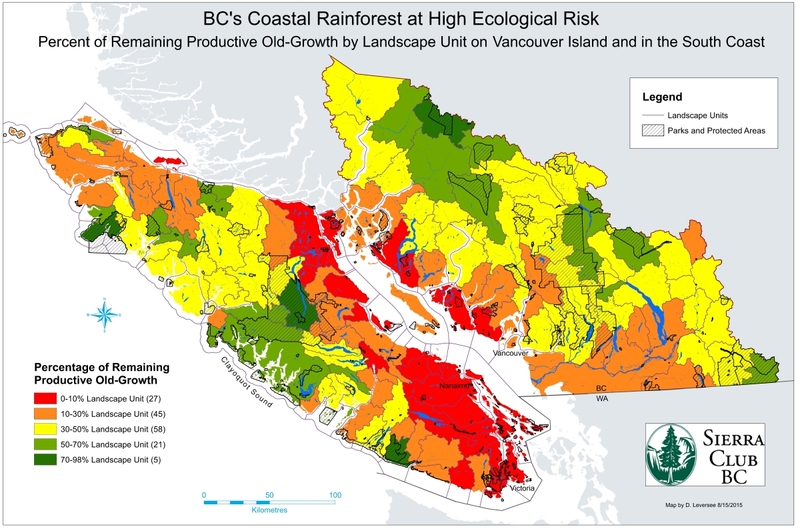 Given that we are living in a relatively rich part of the world compared to many tropical countries, it is remarkable that we are failing to do a better job of protecting the remaining rare and endangered ancient forests on Vancouver Island and inspire other parts of the world. Coastal temperate rainforests exist only in very small areas on the planet and very little intact areas are left. Solutions exist, for example, in the Great Bear Rainforest north of Vancouver Island. Increasing the area of forest protected and halting destructive logging practices are both vital to ensuring the continued survival of these ecosystems and for a diverse economy. They should be a primary concern to us all. Alys Granados is a PhD student in zoology at UBC. She is working as an Intern for Sierra Club BC under UBC’s Biodiversity Research: Integrative Training & Education (BRITE) program. 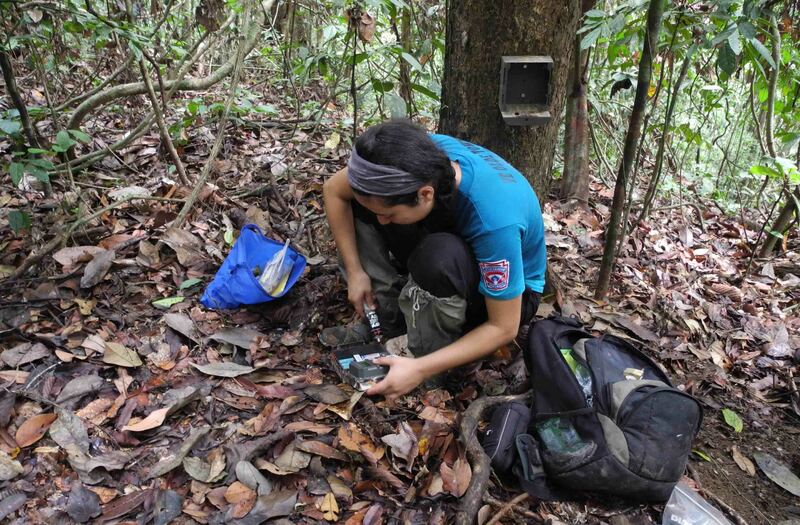 For her PhD, Alys is studying the effects of selective logging on plants and mammals in Malaysian Borneo. Previously, Alys completed a Masters at Concordia University in QC, where she studied park-people interactions in relation to human-elephant conflict in Cameroon. As an intern with Sierra Club, Alys will help with efforts to increase awareness about threats facing old growth forests on Vancouver Island.